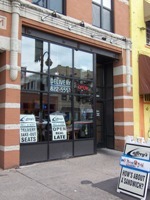 Locally owned, locally operated, and centrally located, Caffrey’s Deli and subs, off of Lake St. and Lyndale in uptown, uses local ingredients that are fresh daily for all their subs and soups. They slice the meat for the sandwich you want when you order it. They roast their beef on site before slicing it thin to order. It is this tradition of all things fresh that has given Caffrey’s the reputation of being a sandwich shop of the people. It doesn’t hurt that they are open until 3:00 AM. 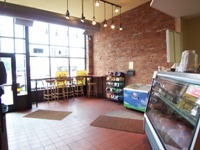 Caffrey’s is what a deli and sub shop in uptown ought to be, great style, a great staff, and great food. Their signature sub is the Blue Cow sub, which starts off with a mound of roast beef. Piled upon that are blue cheese crumbles, bacon, lettuce, tomato, red onions, and to finish the sandwich; mayonnaise. Their talents don’t stop at sandwiches though. 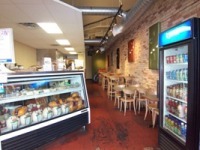 Caffrey’s is also a full service Deli, and features locally made Blue Sky Ice Cream. 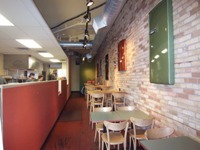 Caffrey’s Deli and Subs has, and will be an establishment in the uptown area and Minneapolis for years to come, continuing the tradition of the sandwich shop with consistency, quality and speed for years to come.